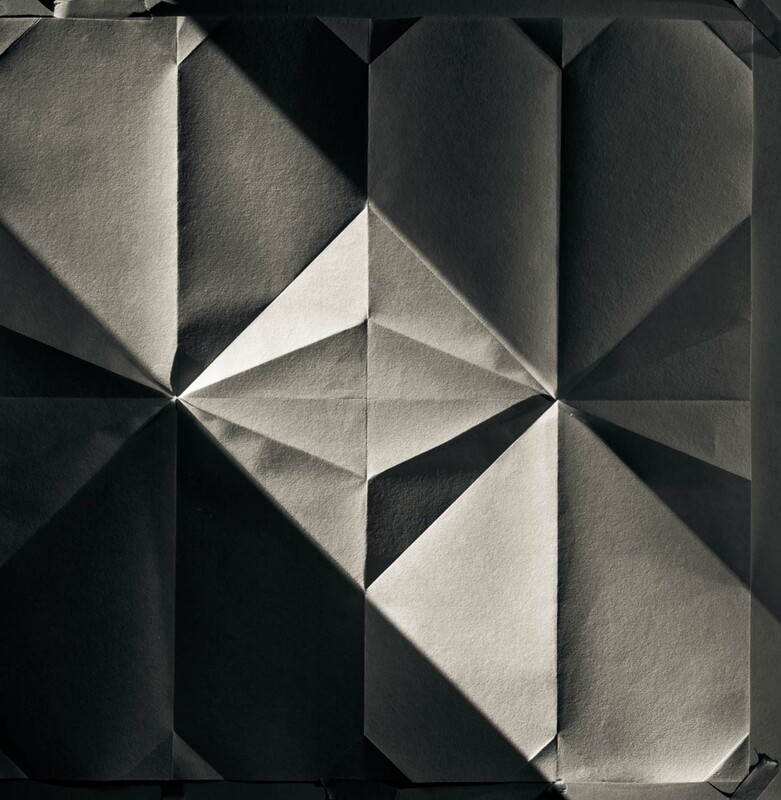 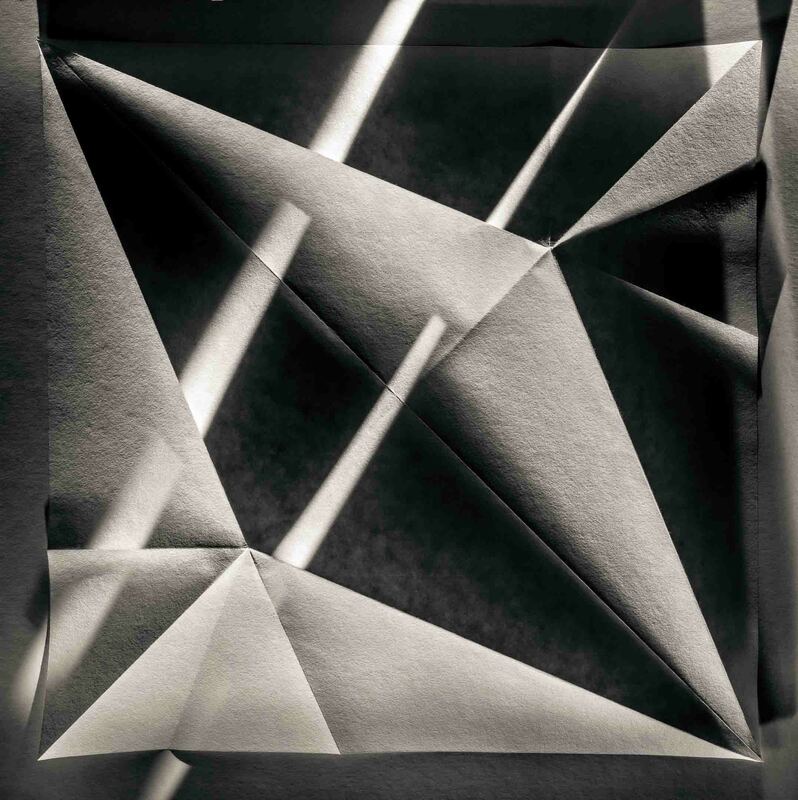 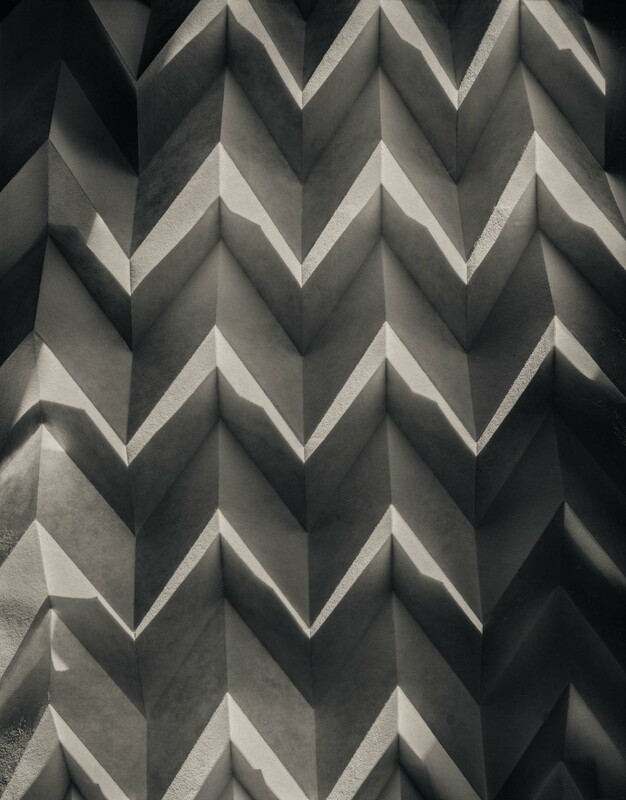 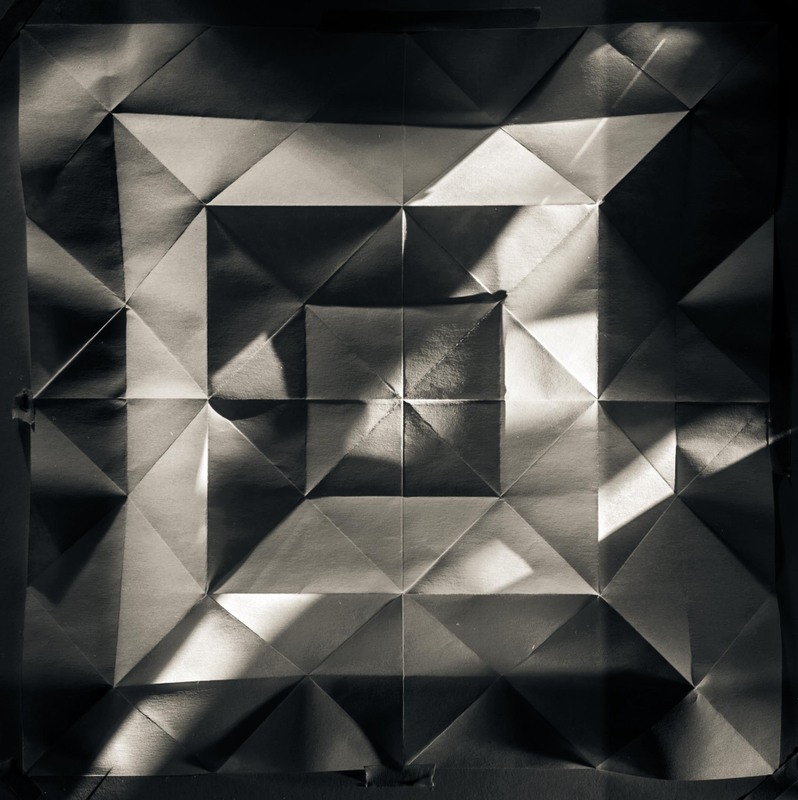 The “Origami Folds Series” is a study in illusion of depth and form created utilizing simply paper and light. 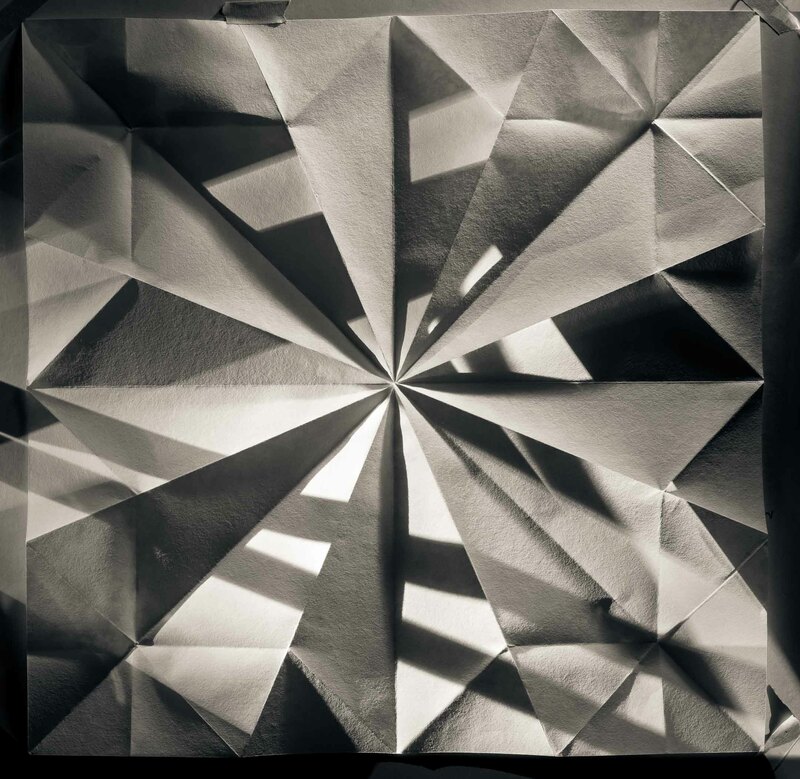 Science and origami have been linked since astrophysicist Koryo Miura created the unfolding solar panels for a satellite in 1995 by experimenting with new origami forms. 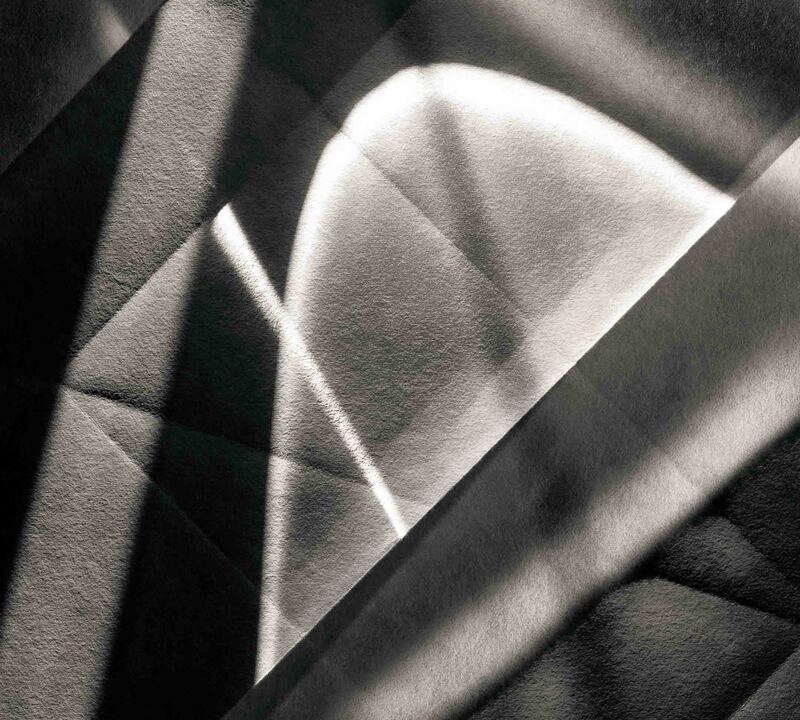 His work was the inspiration for this series of photographs. 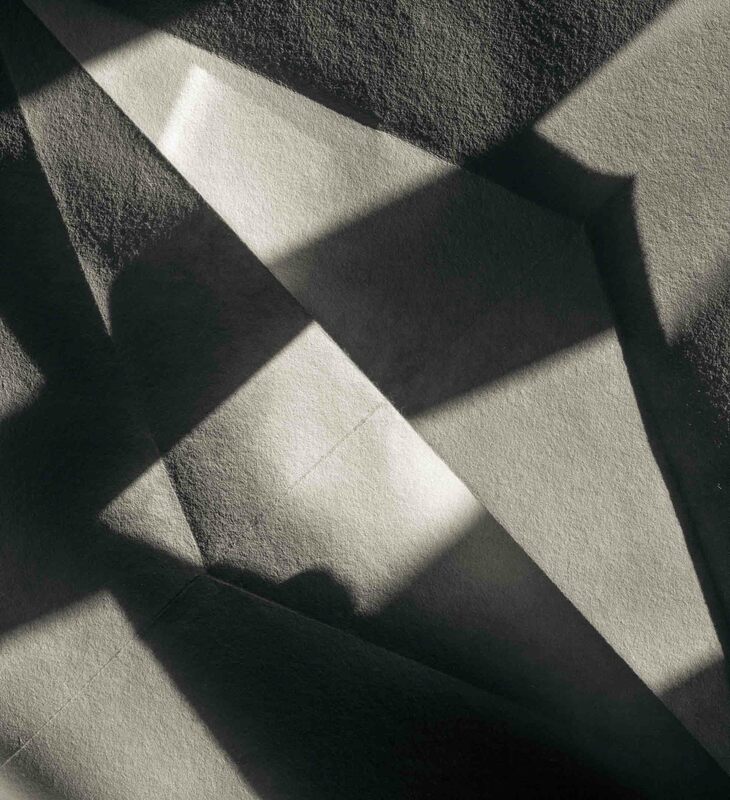 Not only were expanding solar panels created from understanding paper folding, but today so are airbags, heart stents and a host of other engineering feats. 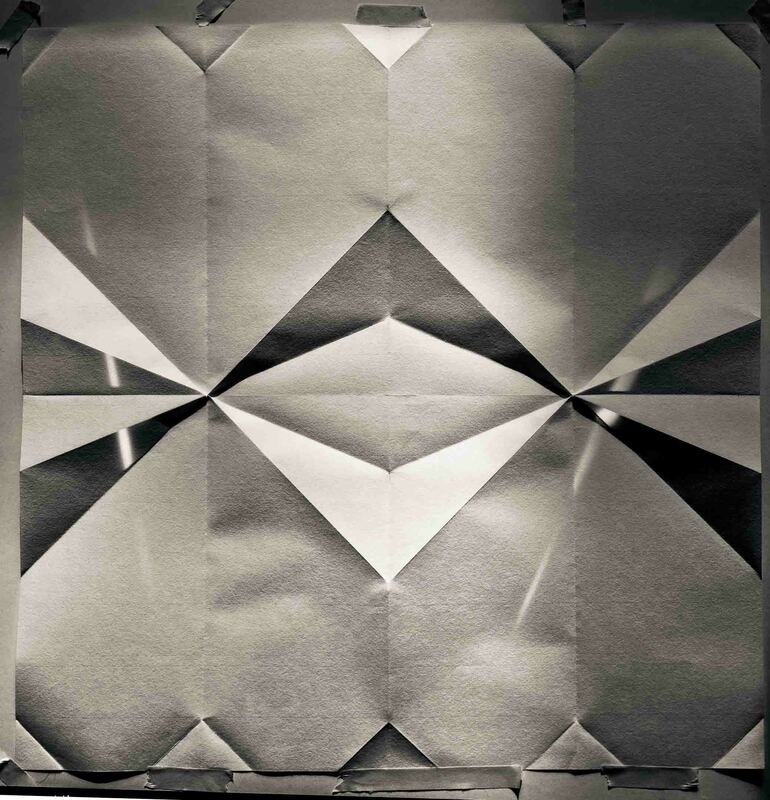 Advanced origami art typically consists of complex folded paper creatures such as insects. 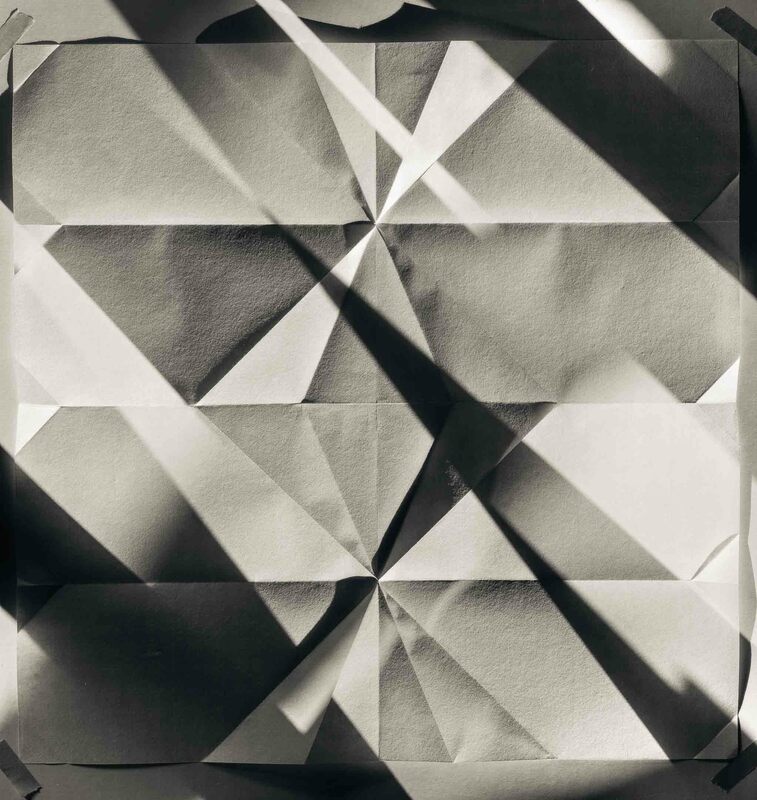 Another concept has been added here by creating new abstract forms and textures through light; one sheet of paper folded and unfolded with the use and understanding of the science of optics. 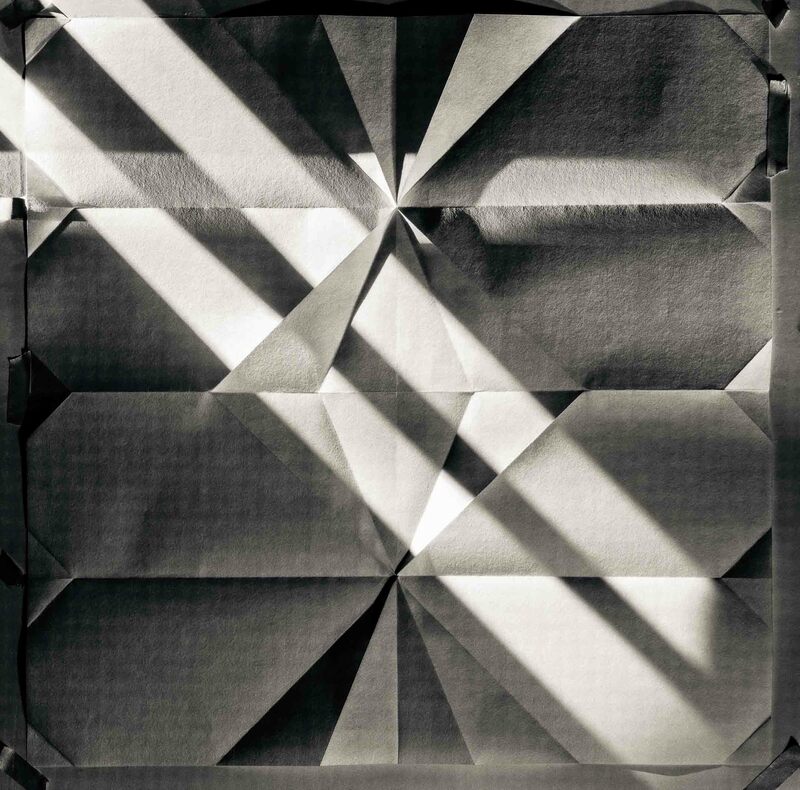 The Origami Folds series consists of 70 photographs. 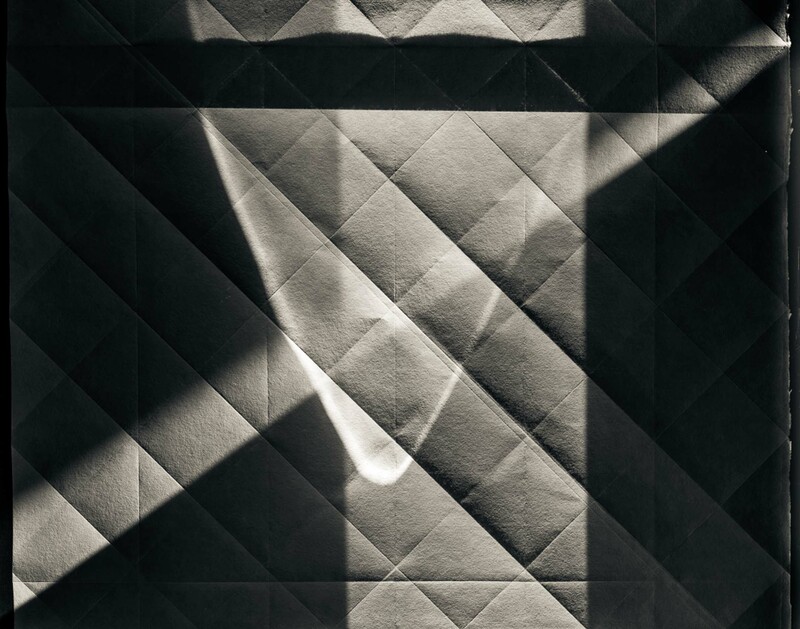 It began in the 90’s and continues to be of creative interest to the artist. 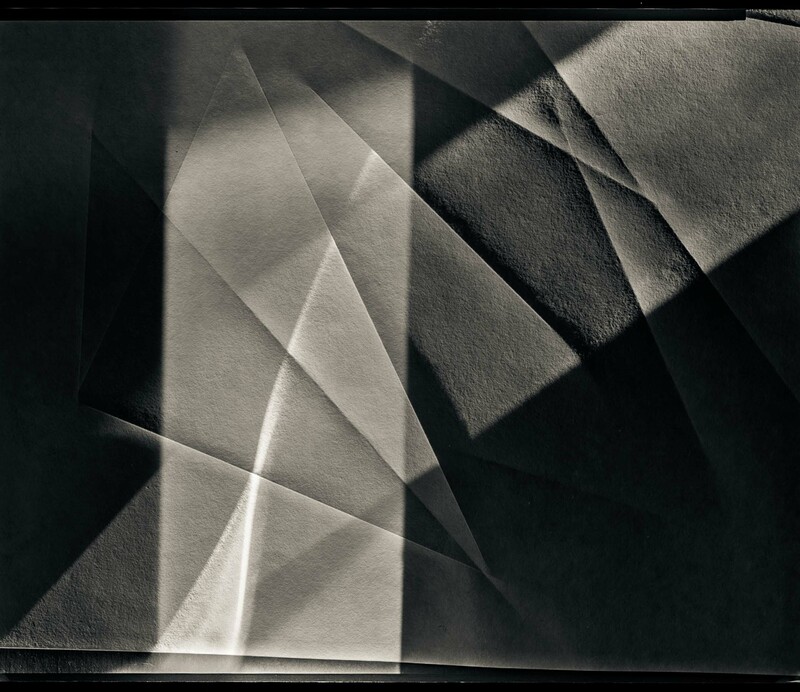 All were created with large format 8×10 film.